The muscle group that forms your shoulders consists of three main muscles (front delts, middle delts & rear delts). 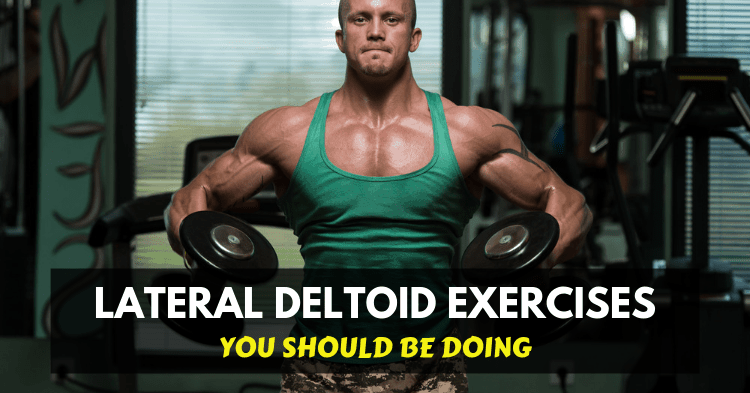 In this article, I’ll be focussing on exercises for the lateral part of your deltoids, commonly (but mistakenly) known as the medial deltoids. You’ll also find an example workout specifically for this part of your shoulders! The lateral deltoids (which is also called middle delts or side deltoids) are primarily responsible for shoulder abduction. Well-formed side delts also lead to that chiseled and sizeable look through the shoulders. Did someone say shoulder boulders? Below you will find a selection of exercises for your side deltoids, including descriptions, explainer videos and recommended repetition ranges! Note, for optimal shoulder health and performance it is important to work on shoulder mobility as well as strength and endurance. I would recommend doing a considerable functional warm-up before attempting any of these exercises. The side plank, by itself, targets your lateral deltoids. But adding a lateral raise on the other arm means you’re working both lateral deltoids at the same time – in a different way! One through supporting your body weight, and the other through the raising of a dumbbell. Plus, your core will get hit with this one too! What’s not to like? Get into the starting position for a side plank, holding a dumbbell in your other hand. Raise your hips into the side plank position. Have the dumbbell in your hand on an extended arm in line with your body. Keeping your arm straight, raise your arm to just below a 90-degree angle in order to keep the tension constant on your lateral deltoid. Lower back down to your side. Do all repetitions on one side before changing over to the other arm. Pro tip: Make sure your planking support (bottom) arm is well aligned in a straight-line underneath you. This exercise hits your anterior deltoids too, but its focus is on your outer delts. They are the powerhouse for this lift. Any exercise with the name “Arnold” in it, should be enough to suggest that it’s not for beginners. Set the bench at just over 90-degrees. You don’t want to be sitting 100% upright for this exercise, nor be in an incline position. Have dumbbells of a suitable weight in each hand. Start with the dumbbells in front of your body, at upper chest height. Your arms should be close by your torso and your palms facing you – think of the end phase of a bicep curl. From here, push the dumbbells up overhead whilst rotating your palms to face forward. The top of the movement will resemble a standard overhead shoulder press. Lower the dumbbells down whilst rotating your palms back to be facing you, ending in the position you started in. Pro tip: At the top of the movement, ensure you only extend to 90% extension. 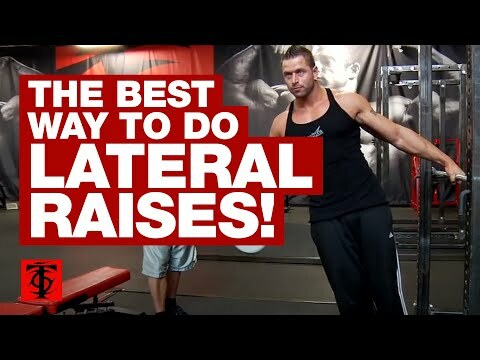 This ensures you keep the tension on your lateral deltoids as opposed to your traps. The barbell upright row can also be done with a narrow grip to target the traps. But this version will have you take a wider grip as to hit the middle deltoids and hit them hard! Hold a barbell in front of you with an overhand grip and your hands just over shoulder width apart. Lift the barbell upwards, sending your elbows out wide. The barbell should stay close to your body. The top of the movement will be when your arms are parallel to the ground. Hold for a second at the top before lowering down to starting position. A classic – and one of the greatest isolation exercises to strengthen and shape your side deltoids! Get amongst it! Stand with your feet hip-width apart with a dumbbell in each hand. Pro tip: Your breathing can help you out with this exercise a lot. Exhale as you raise your arms, inhale as you lower them. This exercise is a personal favorite of mine. The leaning motion allows you to really isolate your deltoid, as not even your core can work in this position. It also gives you a greater range of motion to work with! Hold onto something stable – the tower of a cable machine or a smith machine bar. Have a dumbbell in the other hand. Keeping your feet together, lean away from the tower/bar so that your body is diagonal. Have your working arm by your side, with your palm facing your body. Perform a lateral raise by keeping your arm straight and lifting it up until it is parallel to the ground. Hold for a second at the top of the movement and then return slowly to starting position. Do all repetitions on one arm before changing sides. Pro tip: Think about lifting the dumbbell as far away from your body as possible, this encourages your lateral deltoids to work rather than your traps. You need a double-sided cable machine to do this exercise. And don’t worry about taking up both sides of it – it will be worth it! Set each cable on the bottom setting with the short handle connection. 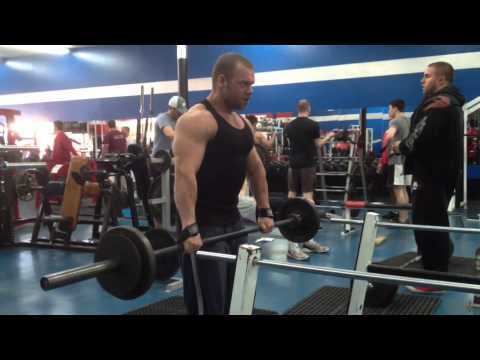 Stand facing the machine with your feet shoulder width apart. Cross the cables over, so you’re holding the left in the right hand and vice versa. At this stage, your hands are in front of your body and facing each other. From here, lift your arms up and out wide, forming a ‘Y’ shape above your head. Pro tip: Stabilize through your core and avoid torso swinging to raise the cables. I’ve put together a workout that contains a few of the exercises I have covered in this article for you to try out. This workout consists of 2 x giant supersets. Rest for 90 seconds and repeat x 3! Shoulders are sensitive! Don’t forget to check out the video links provided in the exercise descriptions, above. They will show you the right technique to ensure you get the best out of these exercises. If you’re looking to gain width through your arms, you should be focusing on your lateral deltoids. 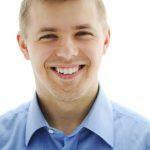 I hope this article has shed some light on the best movements for you to be doing to target these muscles! As you can see there aren’t a lot of exercises that isolate your middle deltoids. But if done correctly, these lot should be enough to do the trick! Did I miss anything? Let our readers know about your go-to lateral deltoid exercise in the comments section below!